Florida may be the Sunshine State, but that doesn't mean every backyard is blessed with full sun. South Florida encompasses U.S. Department of Agriculture (USDA) hardiness zones 9 and 10. Finding shade-loving plants for this region can be challenging, but many types of tropical and subtropical plants perform well in south Florida so long as gardeners provide frequent watering. Shade plants offer diverse color and texture, and some varieties display flowers. Elephant ear, or taro (Colocasia esculenta), develops large heart-shaped leaves that can reach up to 2 feet wide by 3 feet long. This plant grows well in part shade and is hardy in USDA hardiness zones 8 to 11. Elephant ear is often mottled dark and light green, though some varieties can appear bluish-green or white. A tropical plant that is native to southeastern Asia, elephant ear enjoys wet soils, and can grow in standing water up to 12 inches deep. Rhododendrons are shade-loving shrubs with springtime blossoms. The trumpet-shaped flowers come in hues of white, red, pink, orange and purple. With over 3,000 known cultivars, not all types of rhododendron are shade-loving but most do well in part shade and many grow well in full shade. Rhododendron is hardy up to zone 9 and needs a moist soil. Native to Australia, the Tasmanian tree fern (Dicksonia antartica) grows well in southern Florida's subtropical climate and enjoys either full or part shade. This fern is slow-growing but may reach 15 feet. Its fronds can grow up to 6 feet long and are light green. This plant is suitable for container growing and is hardy up to 20 F; in a rare freeze, south Florida gardeners should protect the plant by wrapping it. 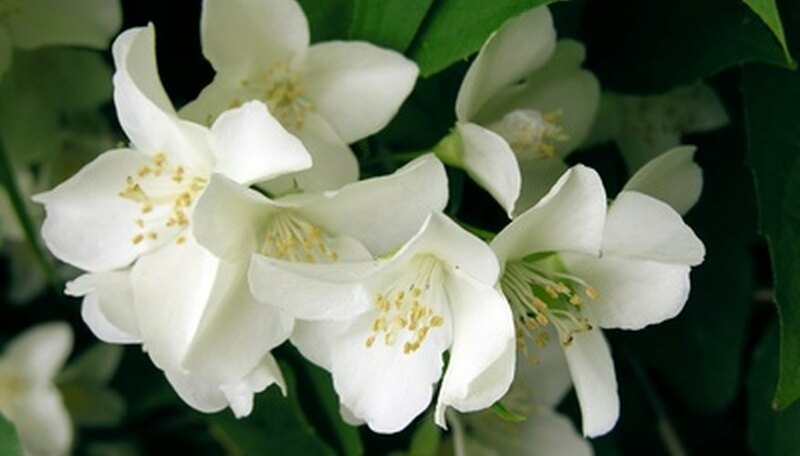 Jasmine offers sweet-smelling blossoms in the spring and summer months. Some varieties prefer more sun than others, but gardeners can grow any type of jasmine in part shade. The flowers range in color from white to yellow. Jasmine comes in either shrub or trailing varieties; the trailing jasmines wind around fence posts, porches or grow out of containers. Do Gardenias Like Sun or Shade? How Much Sun Do Gardenias Need?